This conservation focus area buffers the eastern edge of the globally recognized Great Smoky Mountains National Park, an International Biosphere Reserve and a World Heritage Site that draws over 10 million visitors annually. We work here to expand the non-fragmented network of conservation land and create habitat corridors that link the Smokies to other significant networks of protected land. 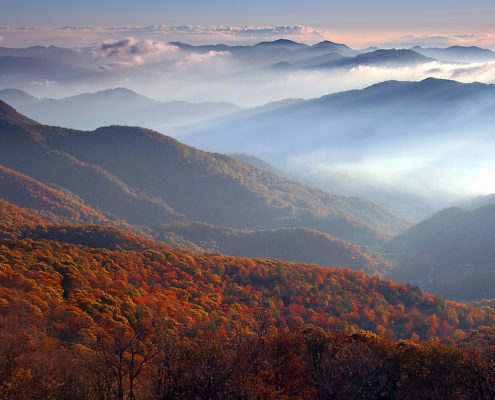 The Smoky Mountains are known not only for their scenery, but also for their biological and aquatic resources. The mountain range’s large number of endemic species and rich species composition make it the most important natural area east of the Mississippi River. 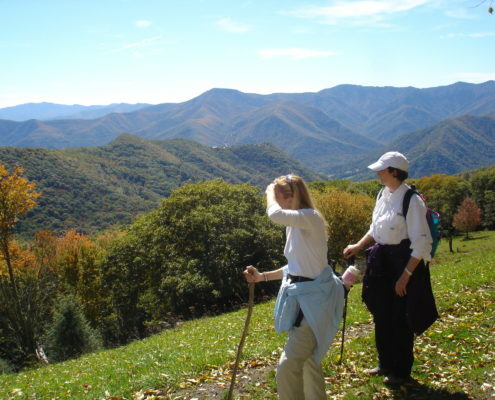 The Great Smoky Mountains National Park is THE most visited national park in the country, with 800 miles of trails and opportunities for hiking, camping, fishing, photography and more. 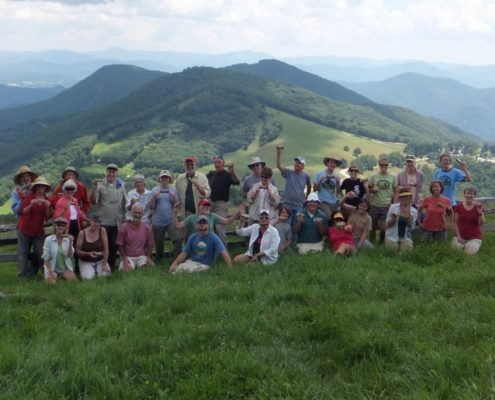 Horseback riding is also available in the park and at Cataloochee Ranch on the eastern edge of the park, where we completed our first conservation easement project. 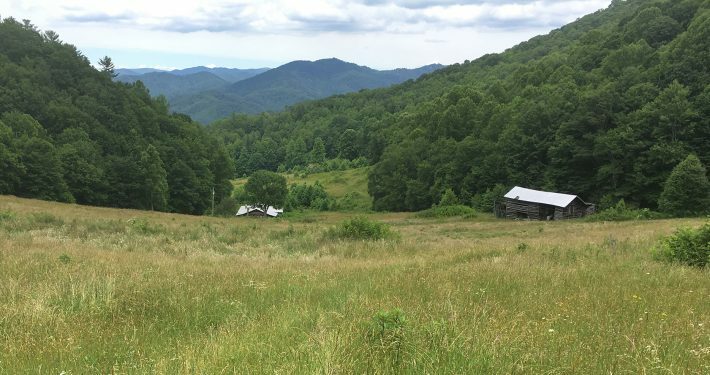 In partnership with the National Parks Conservation Association and Nature Valley, we conducted habitat management for migratory songbirds and volunteer trail work to protect water quality on Cataloochee, at the edge of the Great Smoky Mountains National Park. Devil’s Britches and Bark, Buds, Nuts – A pint, a party, a presentation and hike for Tree ID.